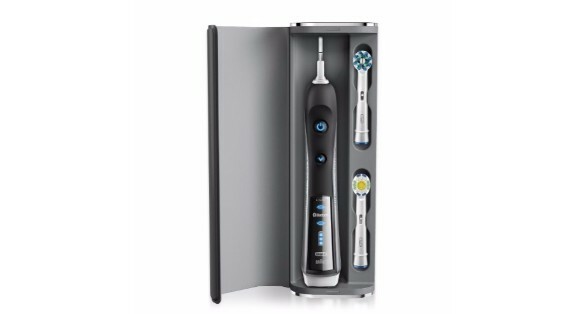 The Oral-B is one of those high tech electric toothbrushes, that you can just pull out of the box and start using. There are no fancy installation instructions. At times, however, it might feel like there is just too much tech. Especially if you download the application and connect to it. From the time we are very young, we are taught to care for our mouth. 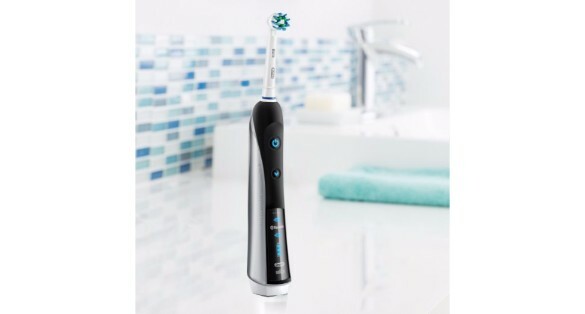 Choosing the proper toothbrush can certainly make a difference, and when you use the Oral-B 7000 electric toothbrush, it can take your dental health to the next level. 6 different brushing modes, including deep clean, daily clean, massage, whitening, sensitive and one for cleaning the tongue. Pressure sensing technology allows you to see if you are brushing too hard. This technology also decelerates the speed of the brush head when necessary. Water tolerant up to 500 mbar of pressure. Wireless guide to provide you with information on the fly about times, areas and brushing modes. Designed by Brawn engineers to remove 300% more plaque than manual brushing. Pressure Sensor – One of the worst things that you can do when brushing your teeth is to apply too much pressure. It can damage the teeth and could lead to more problems than not brushing them in the first place. As you check the mobile app while you are brushing your teeth, you will be alerted to any time you are pressing too hard. In doing so, it can retrain you to brush your teeth properly, even if you have habits from brushing your teeth improperly for years. Timer – It is also important to brush each section of your teeth long enough to get them clean. This is also a problem for many people, as they may have been rushing through the process for years. The timer comes in 30-second intervals, helping you to brush your teeth for the suggested amount of time. The toothbrush handles even beeps when the time lapses, letting you know it is time to move on to the next section. Battery Life – One of the many benefits of using Oral B 7000 is the long battery life. It plugs into a round charging base and when fully charged, the battery life is anticipated to be 10 days, based on twice-daily brushing. There is a blue icon on the handle that flashes while charging and stops when the battery is at full charge. The first charge takes approximately 24 hours. Warranty – If you are not 100% satisfied with this toothbrush, you can return it for a full refund. It will need to be returned in the original package within 60 days of the purchase date. There is also a 2-year limited warranty on the product itself. I have been brushing my teeth for many years, and I thought that it was not necessary for anyone to build a “better mousetrap.” That being said, I was pleasantly surprised with how well the Oral B 7000 worked straight out of the box. After the initial charge, it lived up to all of my expectations and left my mouth feeling fresh and clean. Perhaps my favorite feature is the SmartGuide, which alerted me to several problems with my brushing technique. In fact, I was quite surprised to learn that I had been doing it wrong for so many years. In conclusion, if you are looking for a toothbrush that is more than something you just rake across your teeth in the morning, this is the option to choose. It is state-of-the-art and you will be surprised with how many times you use the technology that comes along with it. 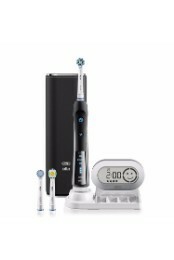 Check out our top electric toothbrushes here, if you do not think the 700 series by Oral-B fits your needs. 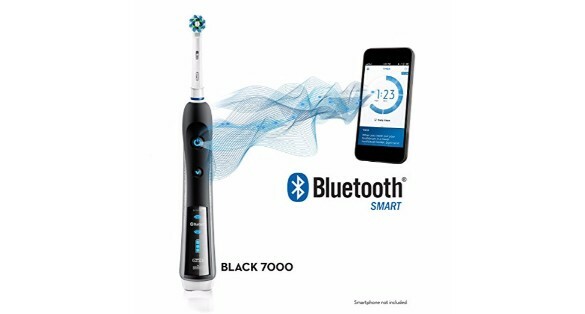 The Bluetooth technology is indeed the fancy part about this electric toothbrush. But not to forget, its performance is always on the higher end just like its features. Love the Oral-B Pro 7000 and how it makes your mouth feel fresh all day!